"Design, code, and photography is what really keeps me up at night." 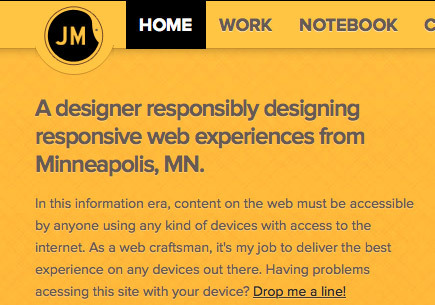 I’m a multidicisplinary design and product leader living in Minneapolis, MN. I'm a Lead Product Designer at Target and recently lead the design systems effort for Target. Prior to this role, I was a Lead Designer for Target.com where I was part of the team who lead the transition from a fixed layout to a responsive layout. Prior to Target, I navigated the waters of a startup, Cympel, in the Midwest and West Coast, lead design at Best Buy, co-lead a local meetup group focused in technology, and designed many websites for agencies on the east coast. 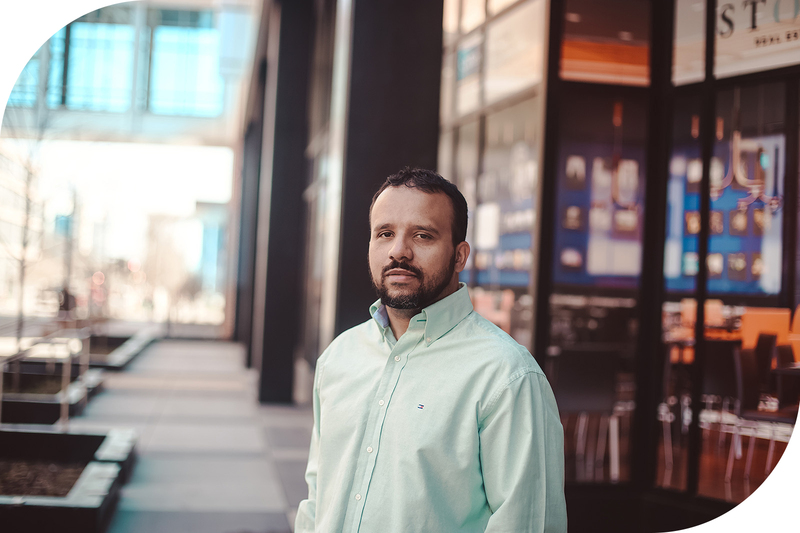 Over the past 12 years, I've worked with companies small and large such as Best Buy, Target, Google, Bose, Samsung, Harvard Law School, Anchor Press and Design Principles. I've started my career as a designer, but I've played many roles including front-end developer, product owner, scrum master, and mentor. I have a deep love for learning, design, technology, and mentoring. I enjoy reading books and taking photographs on my spare time. Over the years, I've learned that leadership is not a role or a job that has requirements — create a vision, serve your stakeholders, and build an organization to build those things. In fact, I've had many managers, but very few leaders. Leadership can be described as a mindset. It is a way of being that reflects how you view the world, who you are, and what you want to do in and for it. My goal as a leader is to impact positively the environment I'm working in: be it my family, my team, my work, and/or my job. I'm a person who strives to have a frame of mind that is propelled to build something better and is comfortable with the discomfort of not knowing. I value learning and I'm constantly learning to master navigation of the unknown and to accept its scariness as inspiration rather than deterrent. I'm willing to put myself in a position of discomfort for the greater good. I enjoy experimentation that may lead to failures as long as we're learning to make better decisions in the future. I'm often reflecting in what I can improve and do better as I person and reflection is part of my belief-action-results cycle. I believe in working in a fun environment that produces results. I believe that we should always sprinkle a bit joy in our work because we often take small moments of joy for granted. I'm on a mission to build great teams to create great and sustainable products that will have an impact on the world. Feel free to reach out via the email below. I'm from Brazil. I was born in Petrolina, PE northeast of Brazil. I moved to the United States in 2000. 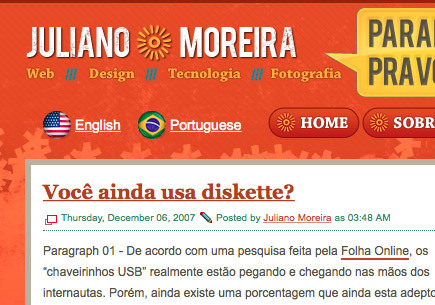 Growing up in Brazil, I was exposed to design very early in my life. My father owned private schools in the northern part of Brazil, and my cousin, Alex, was responsible for my dad’s entire business’ visual identity. My cousin's sensibilities and influence in design led me to explore design as a career. I worked with him for a little while and took design classes. Later, I decided to move to the United States. I confess that I didn't have good grades in school, and school seemed a burden rather than a joy, but I felt real joy in design. After moving to the United States in 2000, I pursued a career in design. It was not easy and I struggled with the language and moving transition. I didn't speak good English to get a job, but after many nights and weekends reading and writing I got better at it. (I'm still working on it though). I took design classes at Bridgewater State College, which as a result, landed my first job as a designer. My professors, Karen and Mike Alves, were essential in finding me a job and I'm forever grateful. 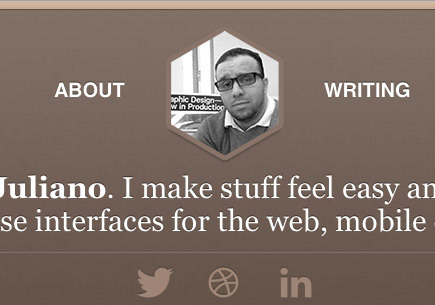 Since then, I've been able to develop myself as a front-end designer and leader. I've worked for big companies and founded a startup. I am very blessed to have had the opportunities I did. On January 2015, I married the most adventurous, tenacious, humble, and determined person I have ever met. I married a woman who is literally changing how women is viewed and treated in agriculture, a very male-predominant industry. I'm married to Laise Moreira. My wife is a grape nerd and is currently pursuing a P.h.d in Plant Science at the University of Minnesota. When she's not reading Quantitative Traits in Plants and running her experiments, she's tasting grapes and wine with me. This site started as a personal experiment to expand my knowledge of the web. I was exposed to the web early on in my childhood, but I didn't start building for the web until my early 20s. I started officially working on the web (and getting paid for it) in the midst of 2004 while going to school in Massachusetts. And as a student of the web, the only way to learn how to build for it is by building my own websites. It's like building a house. You won't ever learn how to build one if you don't get your hands dirty. That's how this site was born - out of my curiosity to learn. The web is evolving rapidly. This site is my way to experiment with new technologies, as well as express my own views. Because it's an experiment, sometimes a page will be a total disaster, or may not work in your browser. Please accept my apologies. This experiment isn't supposed to shatter new depths of the design industry, but to develop and build my skills as the industry evolves.